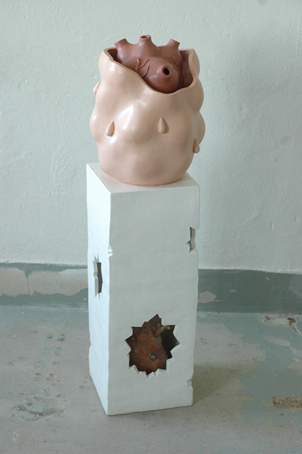 Pedestal with Band Aid and This Is How It Works (Inside a Sculpture), 2010. 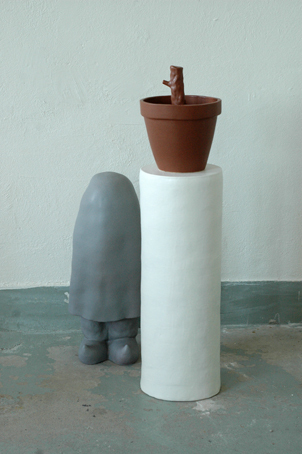 Stoneware and earthenware, 70 cm high. Hidden, Office Death and Pedestal, 2010. Earthenware and stoneware, highest part 120 cm. 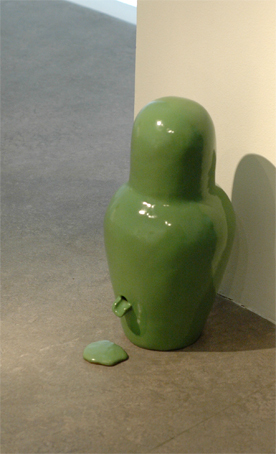 Empty, 2010. Stoneware, 45 cm high. This is How Things Work (Inside a Sculpture) I, Inside the Pedestal, 2010. 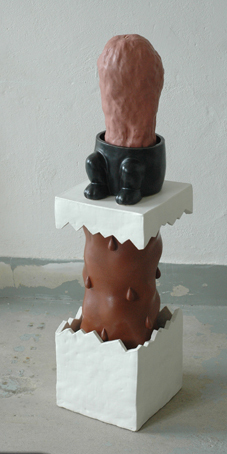 Earthenware and Stoneware, 110 cm high. 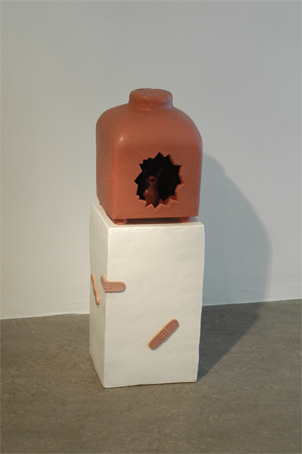 Inside the Pedestal and This is How It Works (Inside a Sculpture), 2010. Stoneware and earthenware, 120 cm high. Abstract Bush and Melting Pedestal, 2010. Earthenware and stoneware, 70 cm high.